Minimal Risk: “Minimal risk means that the probability and magnitude of harm or discomfort anticipated in the research are not greater in and of themselves than those ordinarily encountered in daily life or during the performance of routine physical or psychological examinations or tests.” See the Common Rule at http://www.hhs.gov/ohrp/humansubjects/guidance/45cfr46.html#46.102. Further Guidance on what categories of research would meet minimal risk definition can be found at http://www.hhs.gov/ohrp/policy/expedited98.html. All researchers who wish to access data from the Rosemary Williams Cancer Registry (HU Cancer Center Registry) must first complete the Pre-Screening Interview Form in conjunction with the Manager of the Register, Ms. Alfreda Woods. The approved data request form is submitted to the IRB along with the appropriate level data application. For more information on the cancer center registry, please click the link to the Rosemary Williams Cancer Registry. Most of the psychosocio-behavioral qualifies as a minimal risk study, as defined above according to 45 CFR 46. Studies that pose minimal risk to human participants can often be processed through the "expedite review" pathway. A designated member of the Board can review submissions for approval in those cases. 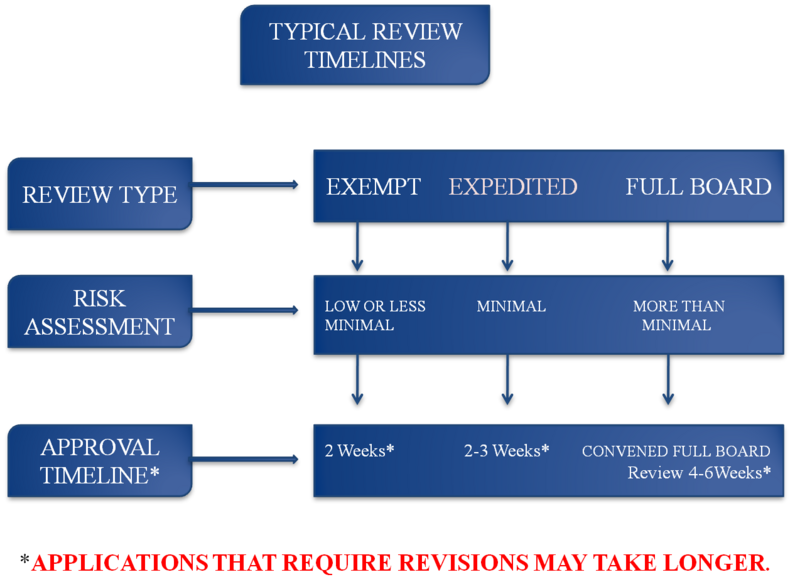 The expedited review process takes from two to three weeks (2-3 weeks). This process should not be viewed as "hurried" review. Expedited reviews get the same attention as any protocol submitted to the full Board. Minimal risk studies that involve vulnerable populations (children, pregnant women, fetuses and neonates, human in vitro fertilization, prisoners, economically or educationally disadvantaged participants, cognitively impaired persons) must go before the full Board for consideration. Most student research for theses/dissertations will fall under this category. (2) Research involving the use of educational tests (cognitive, diagnostic, aptitude, achievement), survey procedures, interview procedures or observation of public behavior unless: (i) information obtained is recorded in such a manner that human subjects can be identified, directly or through identifiers linked to subjects; and (ii) any disclosure of the responses outside the research could reasonably place the subjects at risk of criminal or civil liability or be damaging to the subjects’ financial standing, employability, or reputation. (3) Research involving the use of educational tests (cognitive, diagnostic, aptitude, achievement) survey procedures, observation of public behavior that is not exempt under paragraph b2 of this section, if: (i) the human subjects are elected or appointed public officials or candidates for public office; or (ii) federal statute(s) require(s) without exception that the confidentiality of the personally identifiable information will be maintained throughout the research and thereafter. 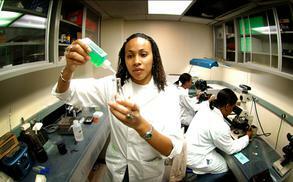 (5) Research and demonstration projects which are conducted by or subject to the approval of department or agency heads, and which are designed to study, evaluate, or otherwise examine: (i) public benefit or service programs; (ii) procedures for obtaining benefits or services under those programs; (iii) possible changes in or alternatives to those programs or procedures; or (iv) possible changes in methods or levels of payment for benefits or services under those programs. (6) Taste and food quality evaluation and consumer acceptance studies, (i) if wholesome foods without additives are consumed or (ii) if a food is consumed that contains a food ingredient at or below the level and for a use found to be safe, or agricultural chemical or environmental contaminant at or below the level found to be safe, by the Food and Drug Administration or approved y the Environmental Protection Agency or the Food and Safety and Inspection Service of the U.S. Department of Agriculture.